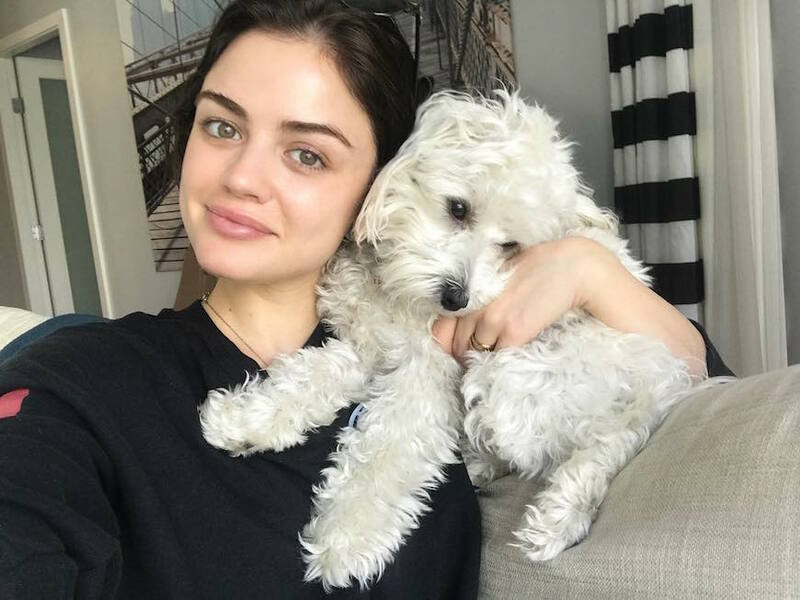 Lucy Hale would be a pretty little liar if she said her job as an actress-slash-celeb in the public eye wasn’t stressful. Well, she’s not a liar (she’s pretty though! )—because earlier today in New York City, I asked the star herself for her best tips on dealing with stress and anxiety. “If you have some, I could use them!” Hale joked. But she does have some advice, as someone who’s chosen “a career where it’s always gonna be stressful and anxiety’s always going to be high,” as she puts it. Her secret? She’s sure to take time for herself to do things that make her feel ready for the day—walking her dog and a.m. caffeine (“I get so excited about my morning coffee,” she admits)—and confident (knowing she won’t have white streaks on her clothes thanks to Degree deodorant’s new formula). Oh, and she’s all about meditation. Hale says that she’s downloaded an app called Insight Timer that guides her through whatever sort of meditation she needs for the day. “It’s basically like a YouTube of guided meditation,” she says. “So you could type in high anxiety and it would give you a meditation of how to sort of detach from that. It’s a nice thing to do right before bed.” Sounds like it—center yourself and then snooze. If you’re getting mindful at home à la Lucy, here’s how to give your home cool meditation-studio vibes. And these are dreamy meditation nooks on Pinterest for more inspo.